Our cottage is a four-story, A-frame house located on a four-acre lakefront property. The house has a master suite with a master bathroom, including a nice, deep tub overlooking the lake. The second level has a kitchen with open countertop bar seating, a cozy living room with a fireplace, and entertainment center. There are also two private queen bedrooms and a full bathroom on this level. 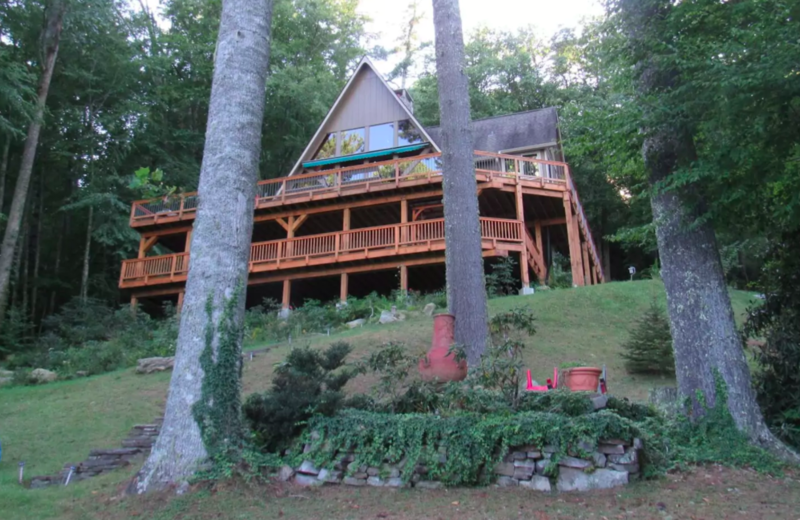 There are two wraparound decks with breathtaking views of the lake and the Blue Ridge Mountains. There are four picnic tables on the upper patio for awesome summer dinners outside. The sunrises and sunsets are absolutely breathtaking from our patio overlooking the lake. The property has nearly four acres to explore with nearly one thousand feet of private shoreline, a small private beach, a boat dock, and as two campfire sites. If peace and tranquility are what you seek, this area will provide everything you need!